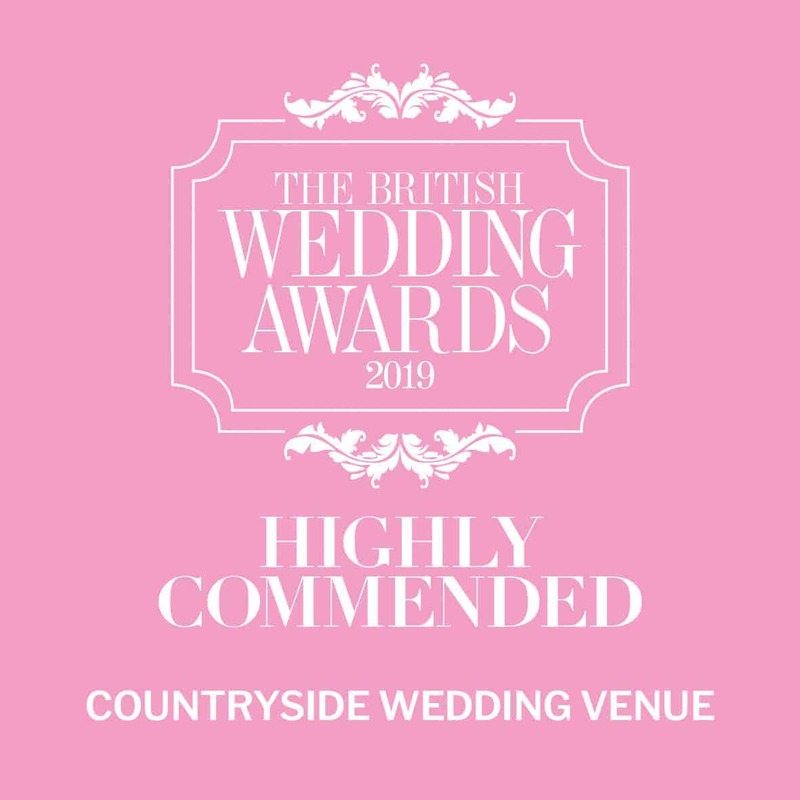 We are delighted to announce that Leez Priory has been voted runner up in the ‘Best Countryside Wedding Venue’ category at the prestigious British Wedding Awards 2019! We were also shortlisted in the Best Historic Wedding Venue category at Hitched’s UK Wedding Awards in 2017 and 2o19. Our venue was also voted ‘Best UK Wedding Venue’ by the readers of Wedding Ideas Magazine in 2014, and highly commended in the Best Wedding Venue category for the Perfect Wedding Awards in 2013. Finally, the readers of Wedding Ideas voted Leez Priory as best UK wedding venue for two years in a row, 2007 and 2008. Kathryn, we wanted to say a huge THANK YOU! To your team and especially to you, our day at Leez was everything and more that we ever dreamt it would be. The venue looked amazing, all the staff were brilliant, the food was really tasty, and the drinks were the main reason for our sore heads the next day! We would like to especially thank you, you were brilliant, you made the whole experience as special as we had hoped, from our initial meetings with you organising all the menus to the day itself, nothing was to much trouble, accommodating our Ushers with their unique sense of humour (Karen!) to making sure that the day ran without a hitch. You. Where. The. Best! We hope that our guests behaved and that you had some treats from the sweet table in the end. Please extend our thanks to your team and we will definitely be pointing future brides and grooms towards Leez Priory! We recently got married at Leez and it was the wedding of my dreams. It was perfect in every way, Charlotte Case was our wedding planner and she was amazing. She was always on hand and ensured our day ran smoothly. Me and my bridal party stayed at the fisherman’s cottage the night before the big day, we were welcomed with breakfast on the morning of our wedding which was the perfect start. The grounds of Leez priory are absolutely stunning, it really is a dream venue! We had our ceremony in the tower and it was perfect we then followed with the wedding breakfast in the great hall and it looked absolutely beautiful. The food also tasted amazing. We stayed in the rooms on the night of our wedding and it was the perfect finish to a perfect day. The staff were so welcoming and friendly throughout the whole of our day, their DJ was also amazing! Leez truly is a spectacular venue and thank you to each and every one of you for making our wedding day as special as it was! Thank you Leez Priory for making our day happen. It was honestly the most amazing venue and everything from the food, the service, the staff just everything was perfect. We can’t thank you enough for making our day so perfect. So grateful. So thankful! Our daughter married here recently. What an absolutely stunning venue. Everything was perfect. Food, staff and rooms. Everything ran smoothly and her wedding planner was fantastic. Helped with any issues or concerns that we had. If you are looking for a breathtaking venue, then this is the place. Well done to everyone that made her day so special. It was her fairytale wedding. Just a note to say thank you very much for making Natalie and Jamie’s wedding so magical and memorable for us all. The whole day and stay in the cottage the night before was perfect in every way, the hot tub was awesome! We know everyone enjoyed themselves, thanks to you and everyone at Leez Priory, we didn’t want it to end! As the bride’s parents, I would like to say a big thank you to all the staff at Leez-Priory, for the exceptional day Sam and Jim had on the 25th January. From the few calls I made to the office after booking to the evening before in the cottage, where we had a lovely evening and a relaxing spa (even if the thought of getting out of it was terrifying in January), to the day of the wedding and finally leaving on the 26th was brilliant, although it went so quickly. We found the staff were friendly, including the ones that work behind the scenes the cleanliness of the house the beautiful gardens food preparation and the ones I only spoke to on the phone in the office was great. The bar staff were lovely and I know my husband enjoyed holding the bar up occasionally! I believe I managed to speak to someone from most areas, the guests have also said how good the staff were. The wedding breakfast was lovely, and we’ve had lots of guests saying how much they enjoyed the food. (Bet you’ve never had the entire top table disappear outside for a puff in the middle of dinner before!) Think that started as a desperate bid before the speeches started and I was not going to be left alone. Lastly, we would like to say Sue who was our Personal Wedding Manager was amazing, she was on the ball the whole time, and helped me get the things I needed to do, done, her attention to detail was noticed by some of the guests you have a little gem. Leez- Priory was a perfect venue for Sam, she loves history and fell in love with it straight away on our first visit. So again please say a big thank you to all your staff. I don’t know where to begin but thank you so much for everything you did to make our wedding as amazing as it was. Sue, YOu were the best Personal Wedding Manager and we love you! The bar staff, waiting staff, chefs and DJ were awesome and our guests loved you all.